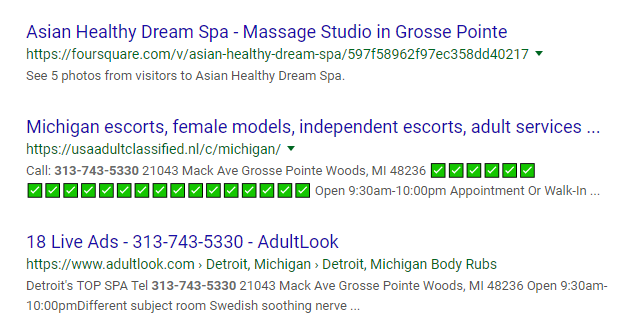 The phone number being used by Asian Healthy Dream Spain Grosse Point Woods, Michigan is linked to an email address used to advertise massage services on CityXGuide.com, a website for escorts and adult services. The ads were for different massage parlors in different states with different phone numbers, the only common denominator besides the Alex605917 email address, is that the ads featured Asian women. 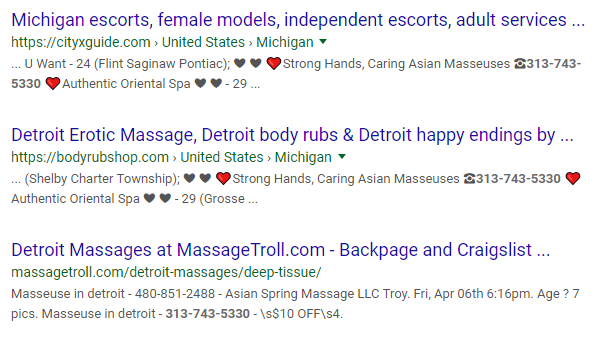 It looks like there's a nationwide network of massage parlors engaging in prostitution and possibly human trafficking.